Come show off your tailwhips, barspins, grinds and bunny hops on the ramps or in the air. Two age brackets and skill levels. For one day and one day only, we’re converting our pastures into the Primrose midway! Stop by for a drop-in program or to visit the animals and stay to play some of your favorite old-fashioned yard games, games of skill and games of chance. Unlimited game play included in family ticket price. Come one, come all! A one of a kind event for all ages. Historic demonstrations, traditional games and crafts, meet farm animals and much more. All activities included in price of admission. 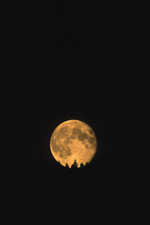 Come see the Harvest Moon rise. Hear stories about moon lore and learn some amazing facts. Saving your own seeds can be easy and the best part it’s free! A University of Illinois Extension Master Gardener will discuss how to save seeds from your garden. Discover which seeds are worth the effort to save. Learn the proper methods of cleaning and storing your seeds. Registration required. A representative from SCORE, Jack Curley, will guide small business owners through the process of writing a business plan. He will be joined by Chris Flood, the Business Librarian for the St. Charles Public Library, who will highlight library resources to help you build a comprehensive plan. Drop in. After the bombing of Pearl Harbor, all Japanese Americans living on the West Coast were forced from their homes and into relocation camps in remote areas of the country. Among the over 120,000 Japanese Americans who were incarcerated, over two-thirds were American-born, many of whom were children. Historian and librarian Sarah Okner, a descendant of internees, shares photos and details of daily life in an internment camp, and the profound effects it had on those living there. Registration required. Social Security is our country’s single largest Federal program and the sole means of support for many retirees. Michael Heatwole from Wadell& Reed Financial Advisors will discuss different filing options available to married couples, divorced individuals and widows. These alternate filing options can often provide monthly lifetime social security benefits higher than the standard filing options that are typically selected. Attendees will be provided with a client workbook that they can keep for future reference. Registration required.